Chris has recently reignited his passion for real estate after a successful few years as an owner of a property maintenance business. 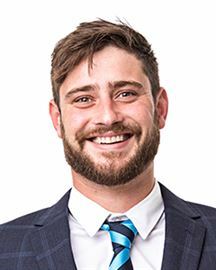 He is pleased to be back into the industry where he was one of the top performers in the Northern Suburbs and surrounding areas, and won multiple awards and accolades for his hard work. Chris is known for his compassionate, genuine and enthusiastic approach when dealing with people and affectionately known as “Mr Nice Guy” of the real estate world. Chris’s family has been involved in property development and this is something he has continued on with and what inspired him to start a career in real estate back in 2005. Chris is a family man, with two gorgeous young boys, enjoys sport, in particular soccer and has a love of travel, but believes we live in one of the best places in the world. Whether you are buying or selling Chris Hills is one person you can count on to provide you with exceptional customer service and is committed to making your dreams a reality! Damien has excelled in the real estate industry since 2003. He maintains traditional values of personal service, professional pride, honesty, integrity and valuable knowledge. He is part of the dynamic team in our Northern Suburbs office and he thrives on delivering exceptional results and quality customer service to all clients. Damien continues ongoing industry training and has been selected to be part of the Harcourts Leadership Programme. He has lived in the local area almost all his life and knows what fantastic opportunities it has to offer. If you want to achieve the best price the market has to offer, then take the time to talk to Damien – he will help you with all your real estate needs! David is a highly experienced property consultant who has consistently received recognition for sale achievement and performance. David's approach to real estate could be described as calm and patient. His clients appreciated him for his clear-cut, honest and no-hype advice and communication through the process of buying and selling real estate. He defies the stereotype that is often associated with real estate. For David, it is not just about the houses he is so good at selling, it's about the people he gets to interact with - the variety of characters, sense of humours and personalities he gets to deal with on a day-to-day basis. He is one of those rare individuals who understands that not everyone likes to communicate via email and he is not afraid to pick up the phone or jump in his car to converse the good-old fashioned way - whatever it takes to get the job done with the best possible result. Since joining the real estate industry in 2007, Karen has established herself within the local community and amongst her peers as a dedicated, patient and hardworking real estate professional. Karen strives to guide her clients through their real estate journey in a smooth and stress free experience from start to finish. She is dedicated to helping people achieve the best result possible and finds reward in seeing her clients happy. Outside of real estate, Karen enjoys relaxing on her 10 acre property, spending time with friends and watching her daughter play netball on weekends. Leesa is a local Northern Suburbs resident, having lived in the area her entire life. Leesa's drive and commitment together with her strong work ethic ensures she never loses sight of the goal post with a drive to exceed her client's expectations. 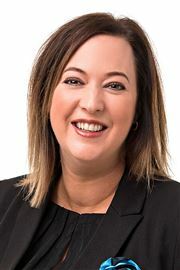 Leesa brings to the team and extensive skill set from her diverse administrative background from construction to marketing and promotion of organisations, specialising in community relations. Consulting with her clients continuously throughout the process, Leesa ensures professionalism and confidentiality, and with her calm approach and dedication will guide you through your real estate transaction with ease. Leesa is committed to continued professional development in all that she does. Photography is a passion of Leesa's, owning and operating her own photography business since 2010. Leesa enjoys time with her family at home on the farm in the hills of Glenlusk. She is also inspired by all mediums of art. Leesa loves her cars and motorsport, holding a racing licence from the Confederation of Australian Motorsport and is a member of the 500 Car Club of Tasmania. Leesa competes with her son in Khanacross events at Baskerville Raceway. Mark has over 32 years of sales experience both on the ground and in management, along with a wealth of people and customer service skills. Years of training in the art of negotiation stands him in good stead to get you the maximum dollar for your property. Mark is also involved in the music industry and has been for over 20 years, so if his face looks familiar there’s a good chance you’ve seen him at a function or at your local pub – if he isn’t talking he is either singing or sleeping! 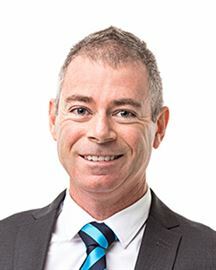 Mark is a family man passionate about Tasmania and the opportunities we enjoy, whether it be trout fishing in the highlands, singing Aussie rock covers or doing his job, you will appreciate Mark’s wealth of knowledge, experience and his genuine way of doing business. Phone Mark if you want results on 0418 302 410. Peter is a proud Tasmanian with a unique global perspective, having travelled extensively throughout the world since the age of seven. He has come to the realisation that the best place to live is right here in Tassie. Peter finds real estate another extension to his charitable experiences, in which he can assist people on their journey to realise their dreams and encourage young people to establish themselves with a solid foundation in bricks and mortar. He has sold property all over Southern Tassie and knows he has gained an insight into a lifestyle that he believes is truly hard to beat. Peter has always looked outside of the square and will always walk that extra mile. So put him to the test. Vlad began his real estate career in 1989 and soon established himself as a leading salesman in the industry. Most of Vlad's business comes from referrals and repeat business from satisfied clients which is a testament to his dedication and high standards. The obvious enjoyment he gets from assisting people is infectious. Outside of real estate Vlad is actively involved in motorcycle and car racing through M.E.R.C and Club Motori Italia. He is a current member of the Confederation of Australian Motor Sport and holds a current licence. He also has an interest in martial arts. 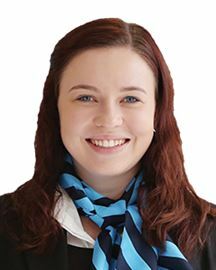 Mel has worked in the Real Estate Industry for the last 8 years, gaining extensive knowledge in Sales Administration and Property Management. She has won numerous awards for her excellence in customer service and commitment to her work. Mel delivers exceptional customer service to all our clients that phone our office or call in. Wendy has been working in real estate since 2008 providing administrative support. Within that role, she enjoys the challenge of juggling multiple priorities and meeting the tight deadlines demanded by the industry without compromising quality. A keen amateur artist, Wendy also enjoys utilizing her graphic art skills in the office. Buy It, Build It and Love It! Two titles for one price! The Price Is Right !! Room To Move With Views! You won't believe your luck! By Georgian! - It's HUGE! Is This Your Next Project?